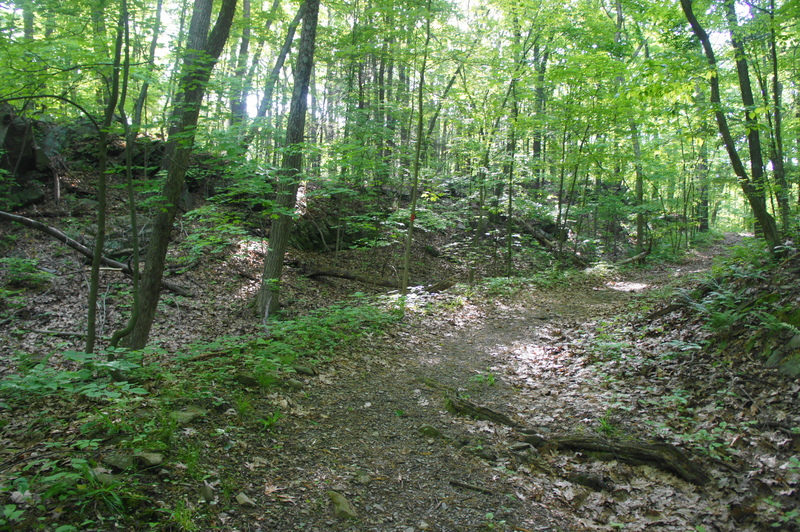 Start your journey at Val-Kill in Eleanor Roosevelt National Historic Site, situated in eastern Hyde Park. Visitors are required to park off to the left before approaching Val-Kill Cottage, then cross over a bridge to reach the cottage and Visitor Center. Behind the main buildings, which were constructed in 1924-26, follow the road to the stable/garage. Here a spur road heads off to the right; the end of the dead-end drive serves as the trailhead for Eleanor’s Walk and the Top Cottage Trail. Follow the wide path for around 100 yards, when you will reach a trail junction. Bear right on Eleanor’s Walk, leaving the Top Cottage Trail for later. The red-blazed Eleanor’s Walk bears southeast, crossing a minor stream named Fall Kill. Eleanor frequently walked these woods with her dogs, giving her time and space to think, drawing up plans as she served as US delegate to the United Nations and a prominent advocate for international human rights. At 1/10 mile, the trail forks again, marking the start of the loop section of Eleanor’s Walk. Heading left first, the path quickly emerges into a sunny clearing, passing under a set of power lines. Returning to the woods, the trail climbs up an old track, cresting a modest hill at 2/10 mile. The landscape around here is a wooded swamp, typified by a boggy pond at 3/10 mile. During Eleanor Roosevelt’s time, she would encounter herons, ducks, beavers, and other marsh-loving fauna during her daily walks. 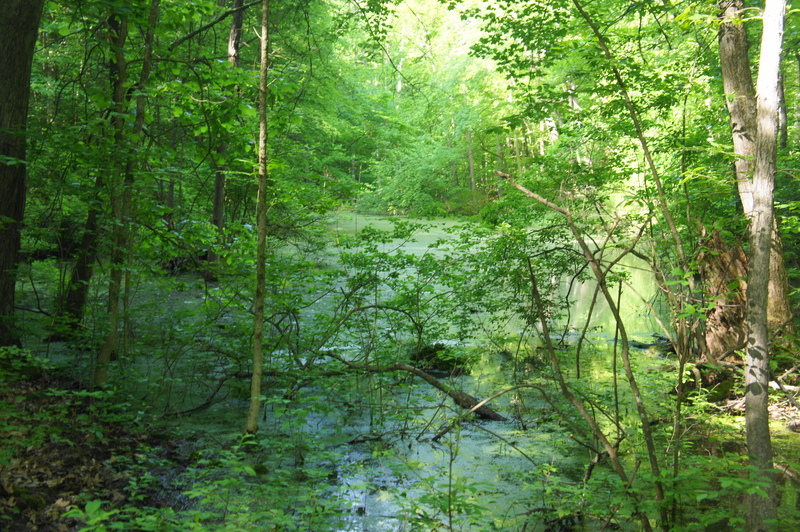 At 4/10 mile, hikers will encounter a second pond before dropping through a minor, rock-lined ravine. Passing back under the power lines at 6/10 mile, the trail bears north, the final stretch back to the start of the loop. 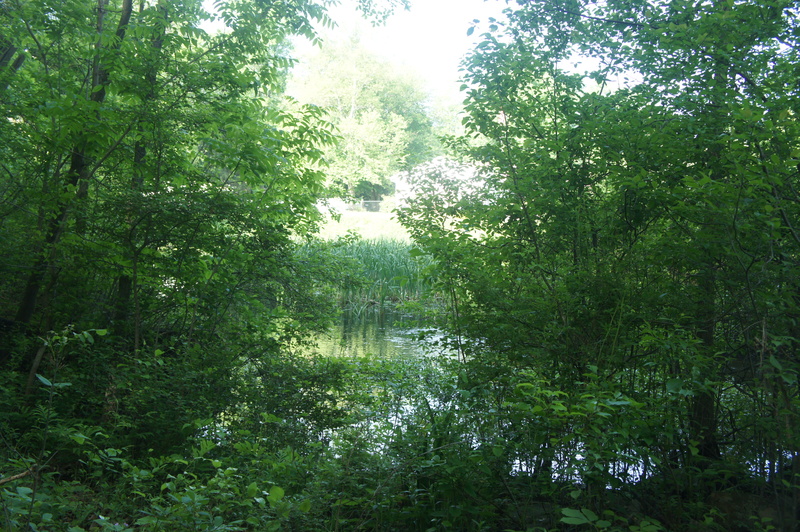 On the left, a subtle spur trail leads to a beaver dam and large pond, with residential houses beyond. 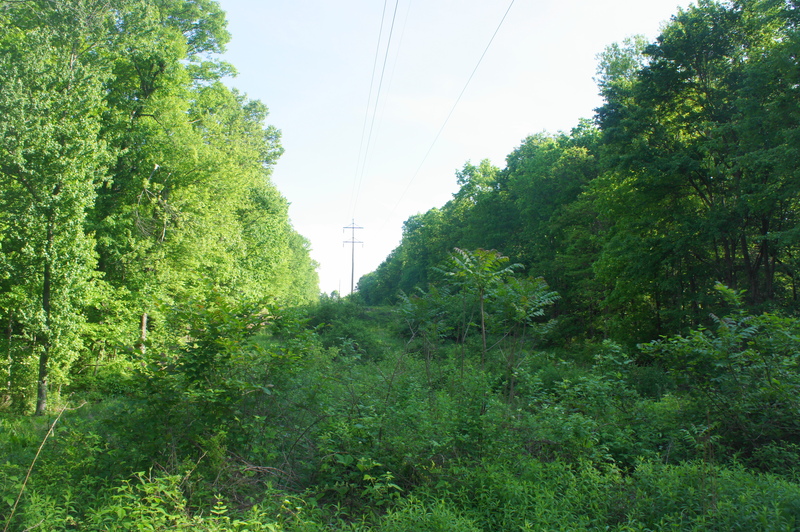 At 9/10 mile, the path returns to the start of the loop; bear left, then bear left again at the merger with the Top Cottage Trail. Within 100 yards, you will return to Val-Kill. 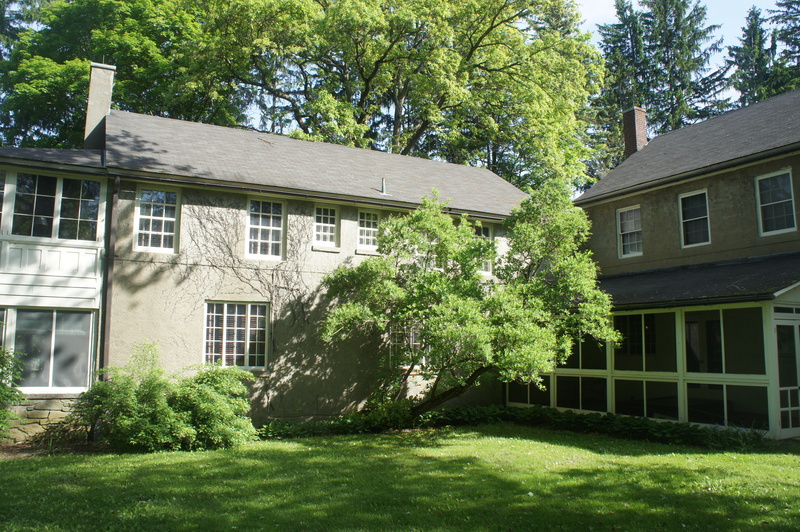 After stretching your legs on the Eleanor’s Walk Trail, climb the moderately-difficult path to Top Cottage, or visit the home of Franklin Delano Roosevelt at Springwood, where FDR and Eleanor are buried, or nearby Vanderbilt Mansion National Historic Site. This entry was posted in Easy Hikes, Hudson River Valley, New York and tagged Eleanor Roosevelt, Eleanor Roosevelt National Historic Site, Eleanor's Walk, historic, Hudson River Valley, Hyde Park, Hyde Park Trail, New York, Val-Kill. Bookmark the permalink.